Just lavender (clipped), box, and Russian sage — in September. Until recently, I had somehow missed the blog, Creating my own garden of the Hesperides. I found it last week, via a picture on Pinterest. 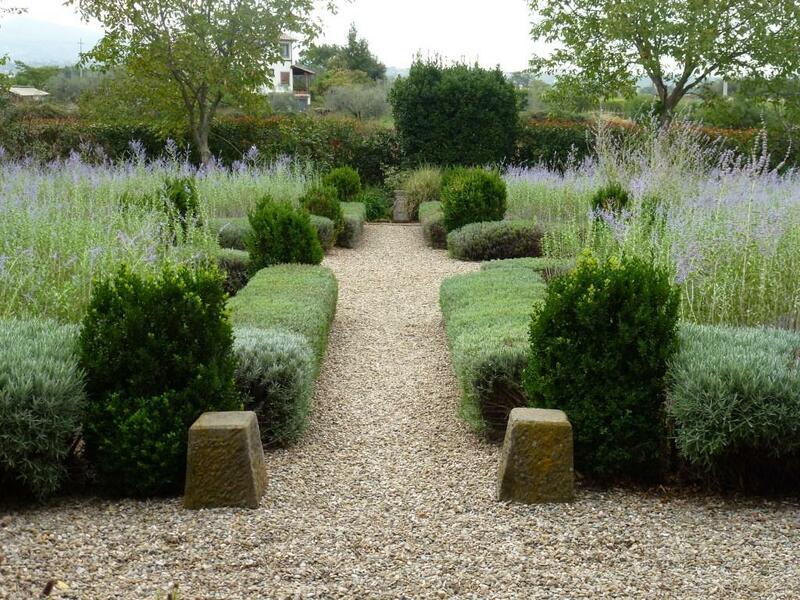 I wrote to Christina, who gardens in Lazio, Italy, and asked her if I could share some of her pictures of her “Formal Garden,” which is so beautiful and simple. The garden in October. All photos by Christina. The garden was laid out and planted in 2008. The soil is soft volcanic rock, which is fertile and free-draining. The area usually receives no rain from June through August, and Christina does not irrigate. In the winter, there is “bitingly cold” wind. 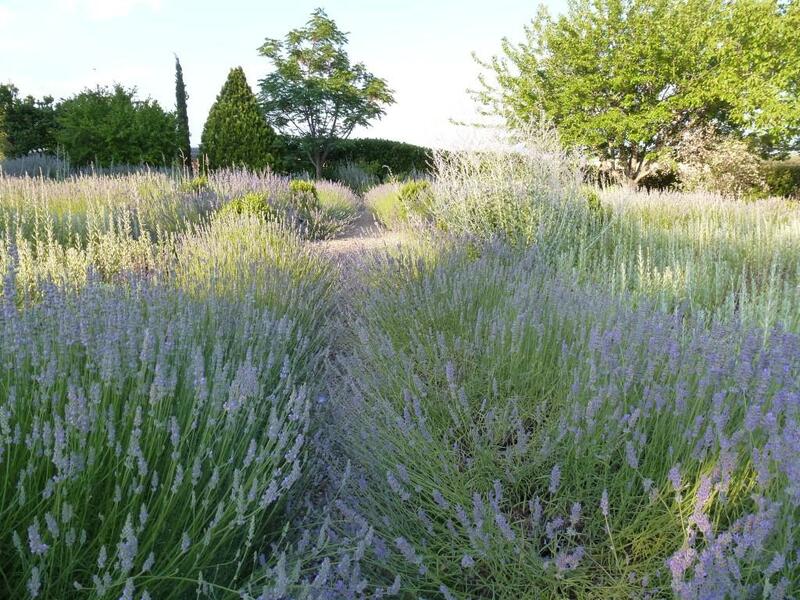 The four identical beds are planted with Perovskia (Russian sage), edged with lavender, and accented with boxwood cubes at the corners. The two beds nearest the house are underplanted with tulip ‘White Dream‘ and allium. 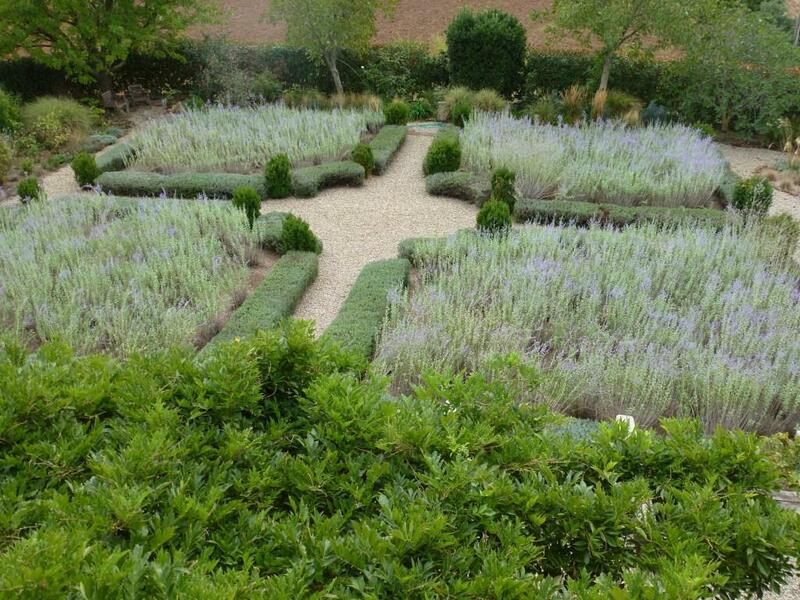 The lavender borders are clipped flat later in the season. The garden of the Hesperides was where Hercules had to go to find the golden apples, references to it in Italian Renaissace gardens are a symbolic way of comparing the garden to paradise, a way of achieving immortality through hard work. So this garden is, for me, my paradise and certainly the hard work in achieving it will bring its own reward. 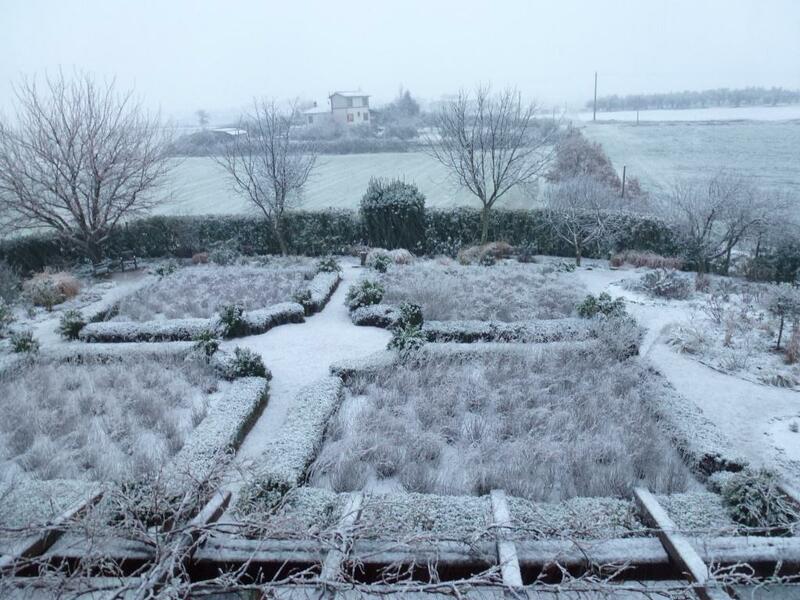 The garden after a January snow. All photos above ©Christina at Creating my own garden of the Hesperides. Thanks! How do you define ‘elegance’? A nice tribute to Christina and her beautifully designed garden. It is so pretty. It’s amazing what she has done with just five plants. Isn’t it? And still nice in winter. 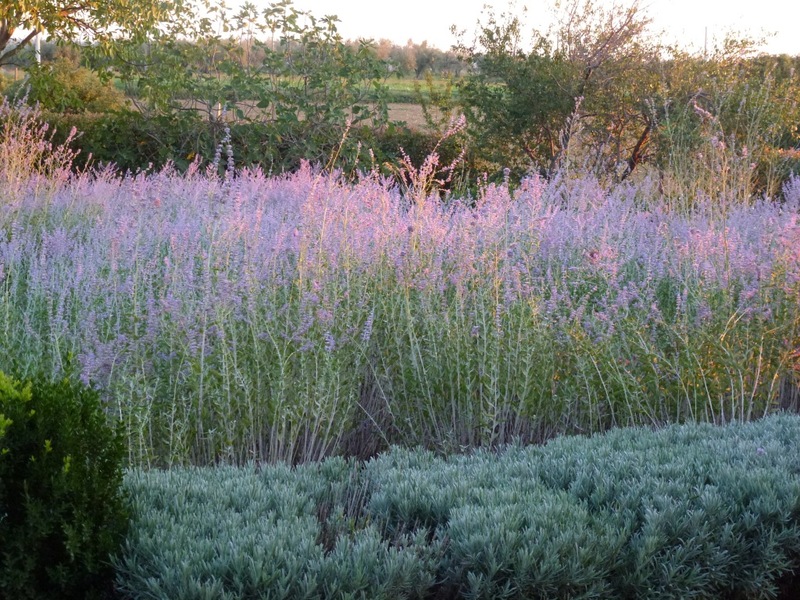 A really effective use of Russian sage. 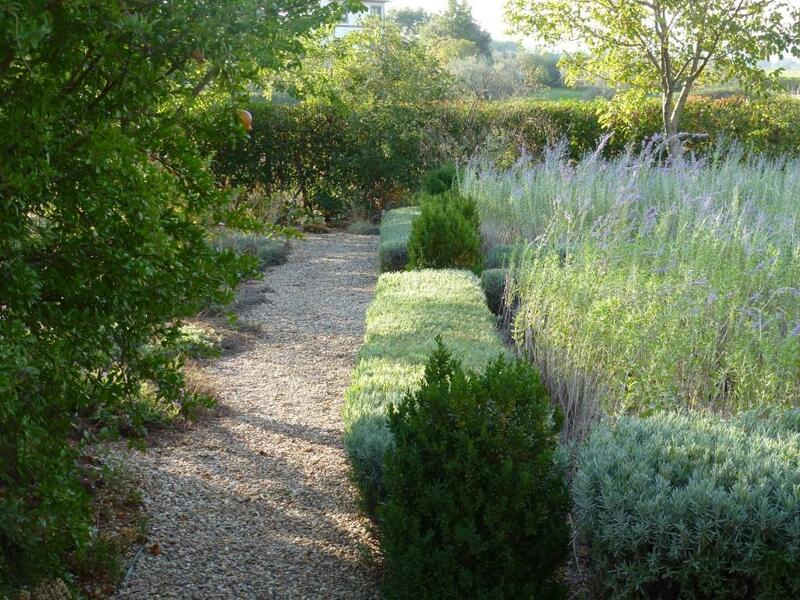 I read how concerned Christina was when the summer drought chewed into her lavender hedges. But they have almost completely recovered. Which is a relief! Hers are really wonderful. 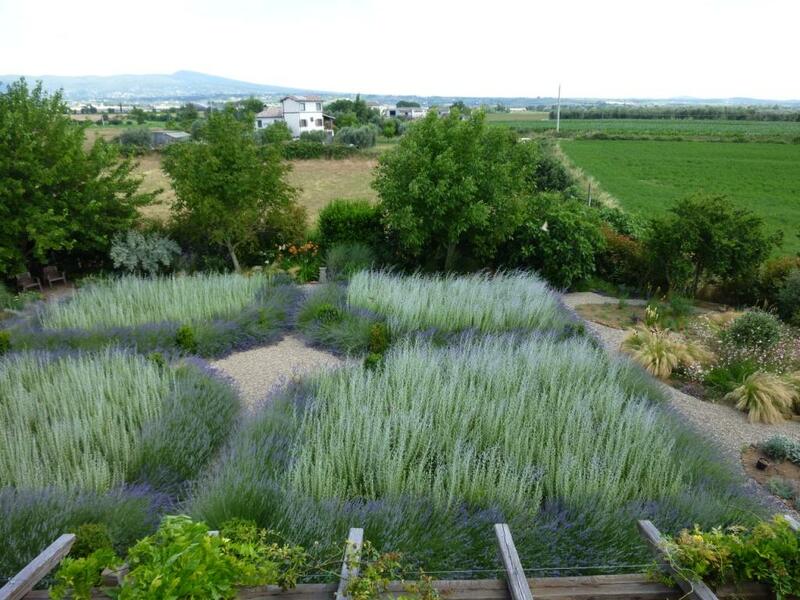 I’ve found lavender to be tricky in the past. It will do really well for me for a season or two and then die for no apparent reason. It is great while it lasts though.